Our Correspondent● Kolkata: The curtain of the Fifth Bangladesh Book Fair has been raised at Kolkata’s Nandan-Rabindrasadan area on 5 September, accommodating around 50 different publishers from Dhaka. It will continue till 13 this month. 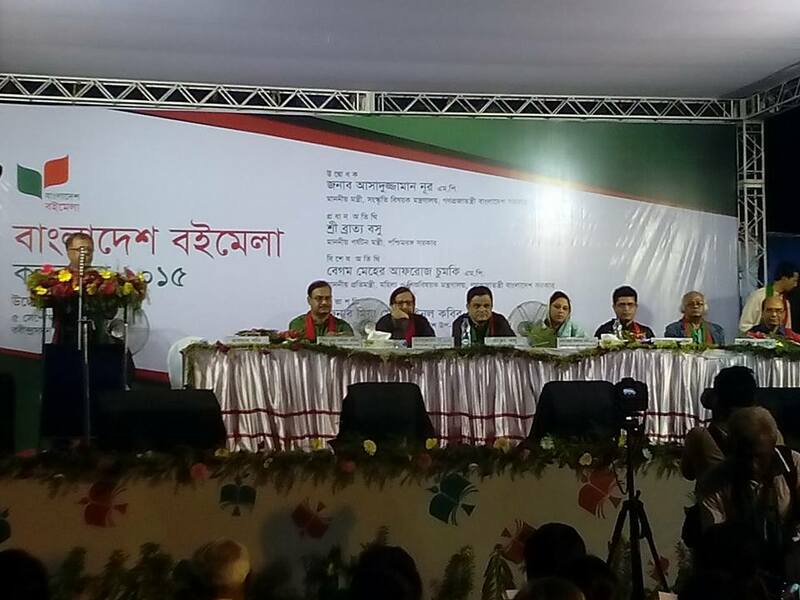 The Fair has been inaugurated by Bangladesh’s Minister of Cultural Affairs Assaduzzaman Noor. Among other dignitaries West Bengal Tourism Minister Bratya Basu has attained the inauguration ceremony. The Fair has been jointly hosted by the Export Promotion Bureau of Bangladesh, the country’s Deputy High Commission in Kolkata and the Bangladesh Gyan and Srijonshil Prakashak Samity (association of knowledge-based creative publishers) and the Government of West Bengal. During such a session the publishers from Dhaka announced that they have been planning to open a permanent book store in Kolkata so that the readers of the city would have regular access to Bangladeshi book. Like every year, literary and other interactive sessions have been going on regularly in the fair this time too. Though the organizers failed to provide detail information about schedule of programmes to be held in the Fair but according to reliable sources, renowned Rabindra Sangeet singer Rezwana Chowdhury Bannya would sing at the venue on 12 September. Book-lovers of Kolkata have been regularly visiting the fair. But disappointing them many books that they have been looking for are not available there. When asked the publishers could not suggest any logical reason for that. However, some of them feel that the problem would not resolve unless number of stalls are increased in such exclusive annual fairs.